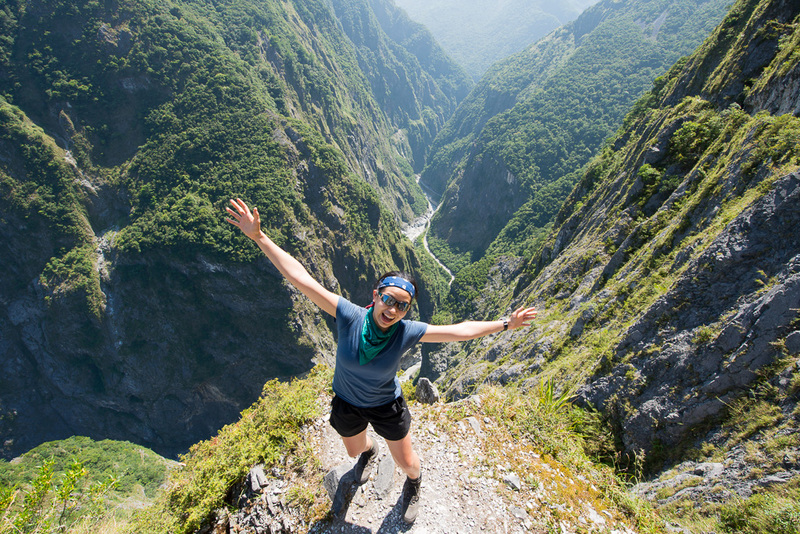 Taroko Gorge is THE must-visit place for anyone spending any time in Taiwan. On this trip we’ll hike the excellent Zhuilu Trail on one day, then do some shorter trails and sightseeing the second. 1900 Meet at Taipei Bus Station and catch the 1925 bus to Luodong where we’ll transfer to train for the journey to Hualien. Stay at a B&B for the night. Up early and head up the gorge to Swallow’s Grotto where we’ll hike the Zhuilu Historic Trail. This is THE best day hike you can do in Taiwan. The trail is cut into the cliff face and has stunning views of the gorge 500m below. We’ll need to apply for permits for the Zhuilu Trail and if we’re unsuccessful, we’ll do the Dali hike which takes us to a remote village in the mountains above Taroko Gorge. We’ll head up higher in the gorge and do a series of short hikes and sightseeing that might include: The Lotus Pond trail, The Baiyang waterfall trail, the Xiangtian Nunnery, The Lushui-Heliu Trail, The Eternal Spring shrine, and or the Shakadang Trail. In the evening we leave Hualien at 1800 and arrive back in Taipei around 2130. Event cost: $8900 for first time customers. $8400NT for students and returning customers. If you have any questions, send an email to Stu at stu@taiwan-adventures.com. Please note that we cannot transfer your payment to another trip should you decide to cancel.